KAWANOE ZOKI CO., LTD. - We produce 80% of toilet paper and tissue paper in Japan. Kawanoe Zoki’s tissue machines hold an impressive share of the market. More than 80% of the tissue paper and toilet paper manufactured in Japan is made using tissue machines from our company. In recent years inquiries from abroad have increased, and we already supply machine to countries including China, South Korea, and Taiwan. Now Asia is making the most notable growth in the paper industry. Kawanoe is also looking to expand fully into Southeast Asia to become the region’s top tissue machine maker. Paper is essential to your daily life. Kawanoe Zoki’s development capabilities automate six papermaking functions – papermaking, winding, cutting, folding, wrapping, milling. 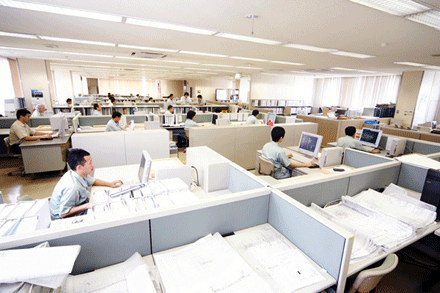 All of KAWANOE employees take on challenges to develop new machines which satisfy the industry’s demand, such as energy-saving and space-saving, as well as automation. It is our mission to　develop innovative machines and satisfy customer needs by our broad range of technological expertise with flexibility. 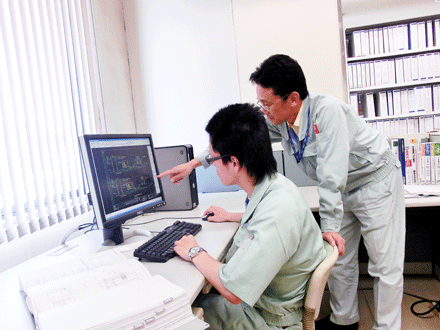 Kawanoe Zoki is an industry leader in the development of tissue machines. The “BestFormer” Yankee paper machine that we developed offers uniform sheet formation, boosts production efficiency, has energy-saving specifications, realized superb ease of operation, and is compact in design. Also, the paper quality it produces is unparalleled. We have also developed and manufactured interfolders, fully automatic roll wrapping machines, and numerous other machines of original design. Our fully automatic random roll wrapping machines for newsprint paper and printing paper have garnered an overwhelming share of the market in Japan. Kawanoe has always sought feedback on our products from the viewpoint of power consumption so we can produce machines with lower power and thermal energy requirements. We have made constant developmental modifications, aiming for a consistently high level in both quality and economic efficiency. We are also working on new energy-saving designs, utilizing our wealth of experience in numerous technical tie-ups with overseas companies. “Former” is the heart of paper machine. 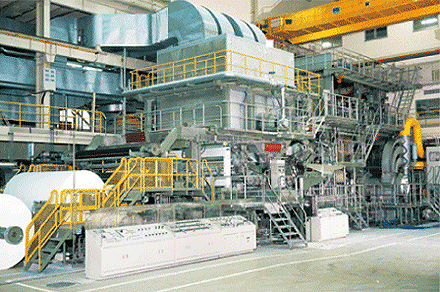 Our BestFormer yankee paper machine has 80% of market share in Japan. Our BestFomer operates at the lowest running cost in the industry while realizing eco-friendly.